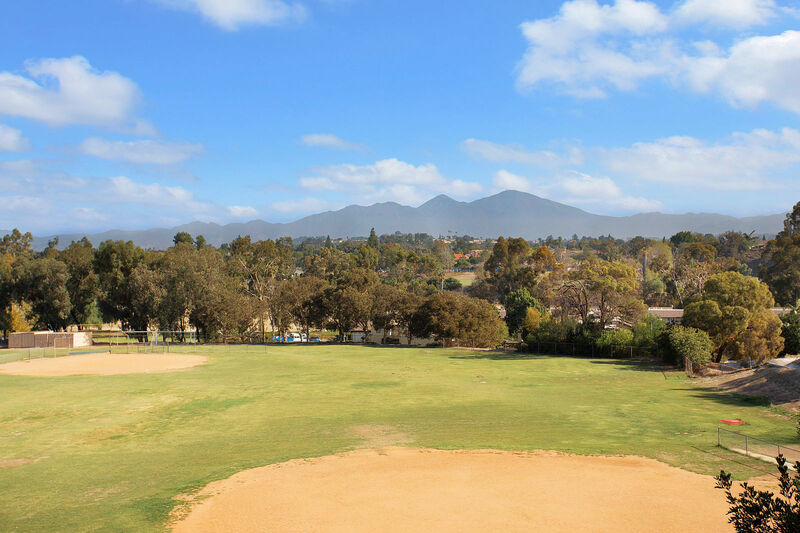 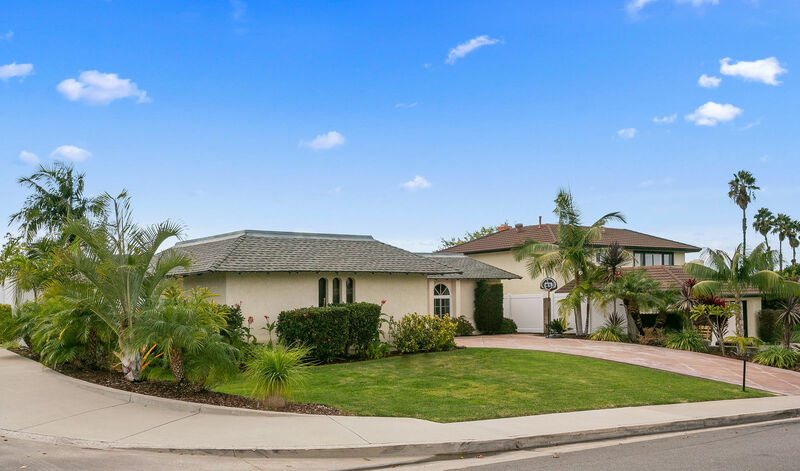 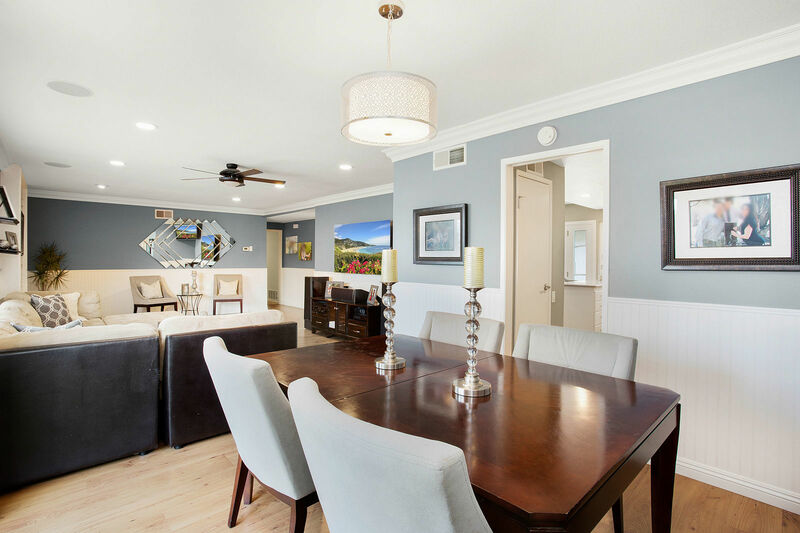 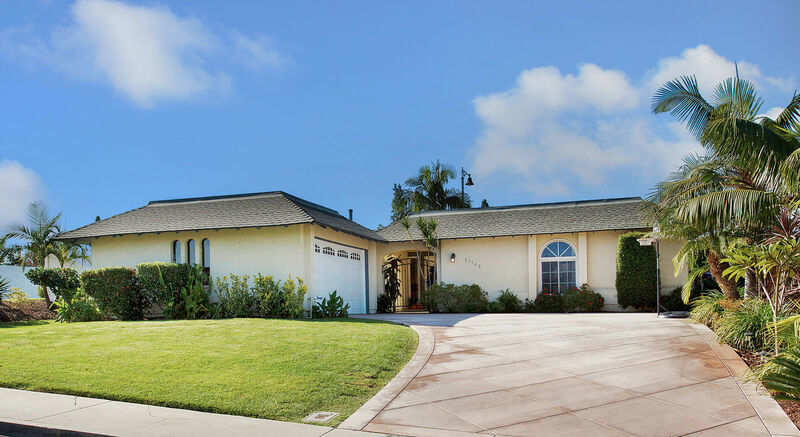 Stunning Turn-key Single Story Home in highly sought after neighborhood of Buena Vista, in Central Mission Viejo, on large corner lot with amazing views of the Saddleback Mountains. 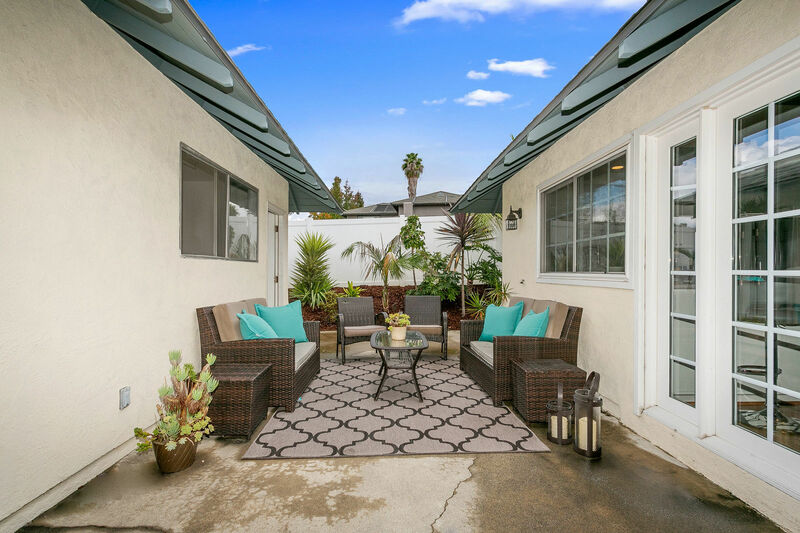 Front elevation is charming with lush and mature landscaping, newer stained concrete driveway, two-car garage and new wrought iron front gate. 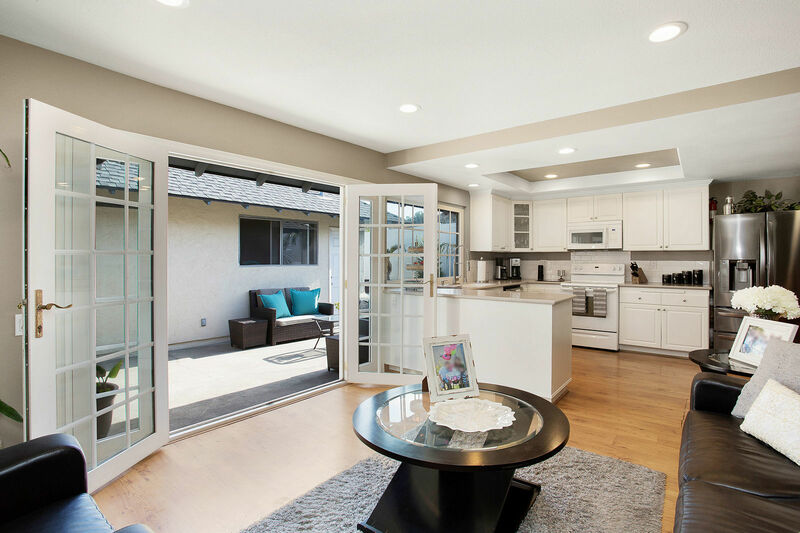 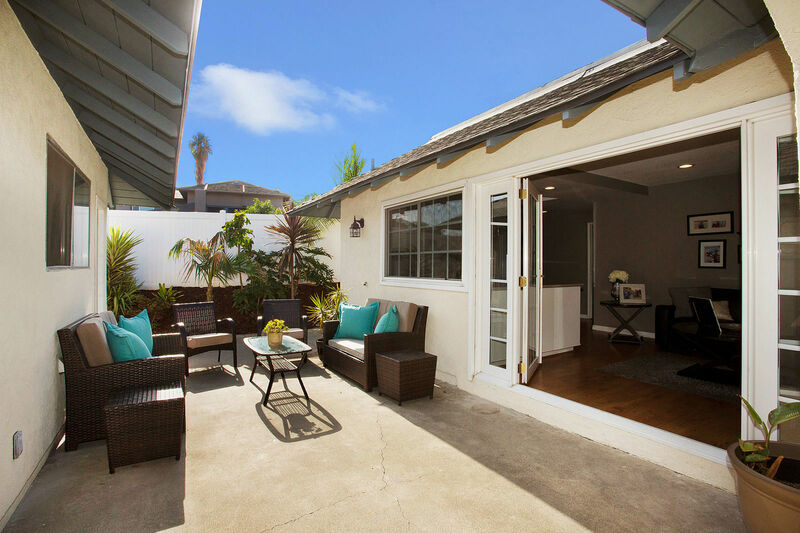 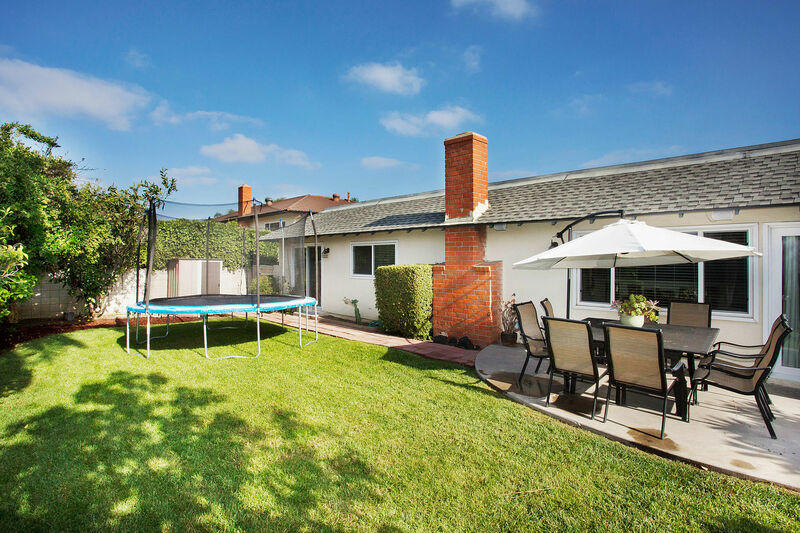 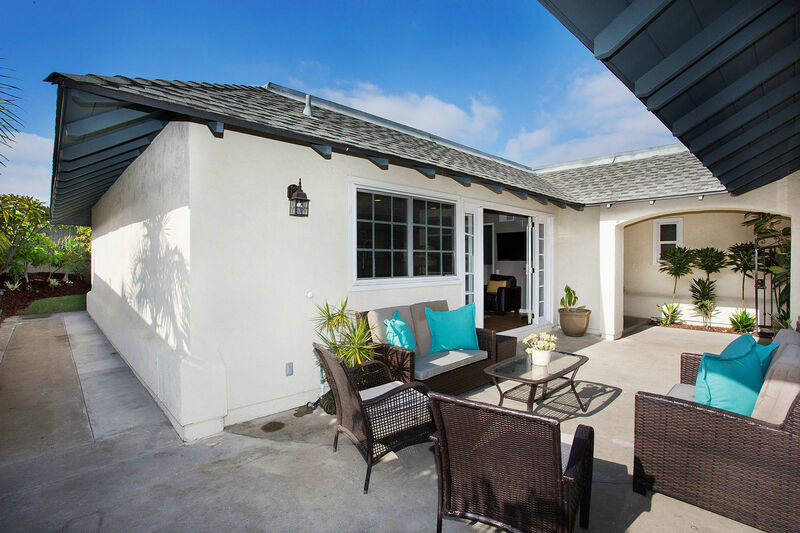 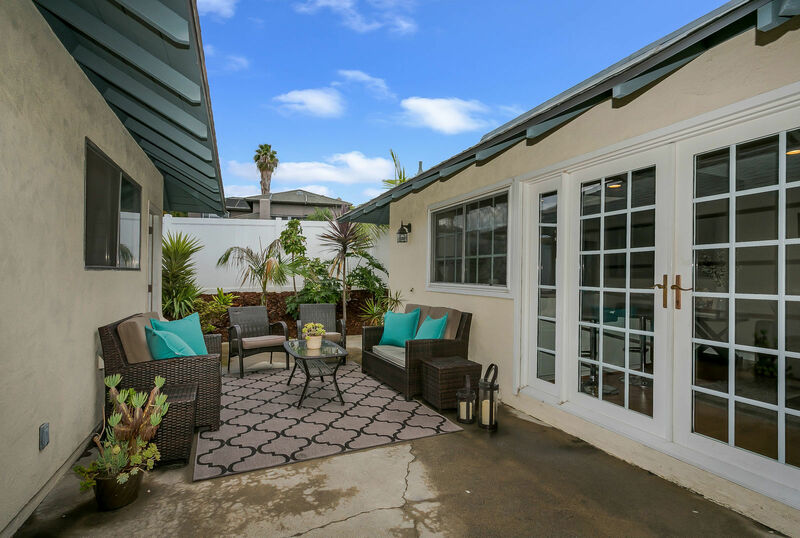 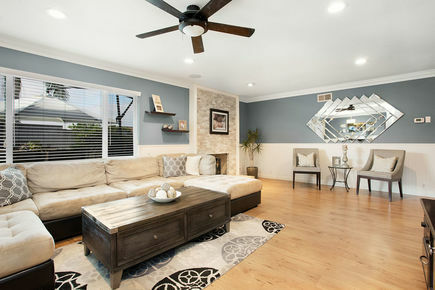 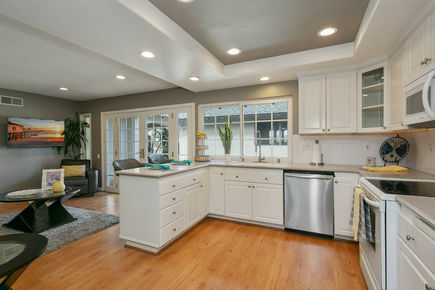 The private courtyard with double French doors welcome you in this bright and airy 4 BR, 2 BA home with large backyard, perfect for entertaining. 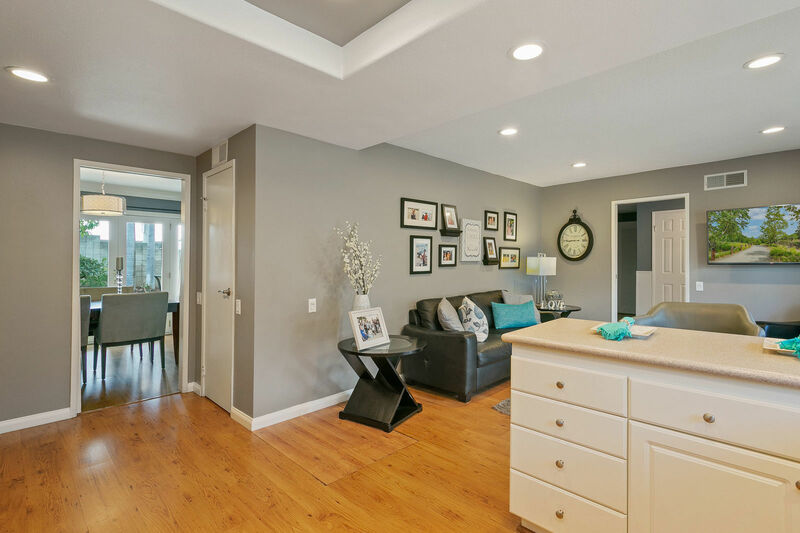 From the foyer, enjoy the floor to ceiling stone fireplace, laminate wood floors throughout, tall baseboards, wainscoting, crown moulding, designer paint colors, dual pane windows, and open floor plan. 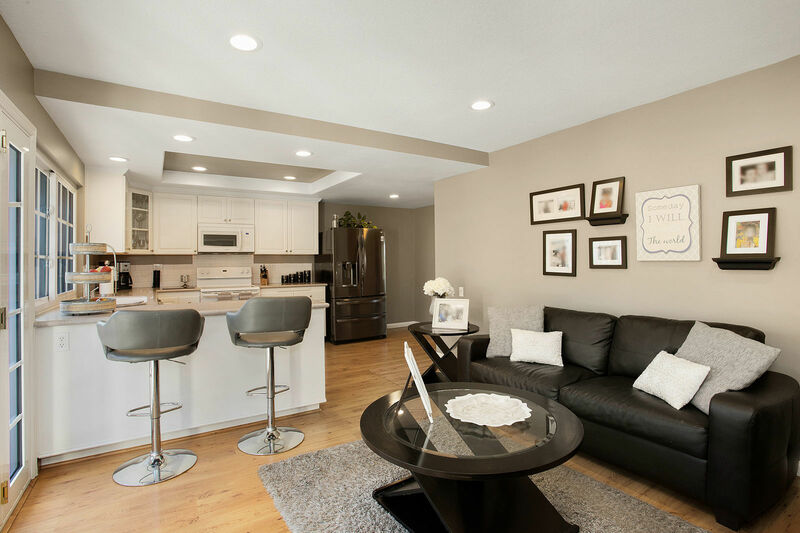 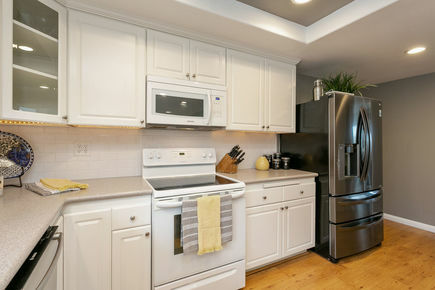 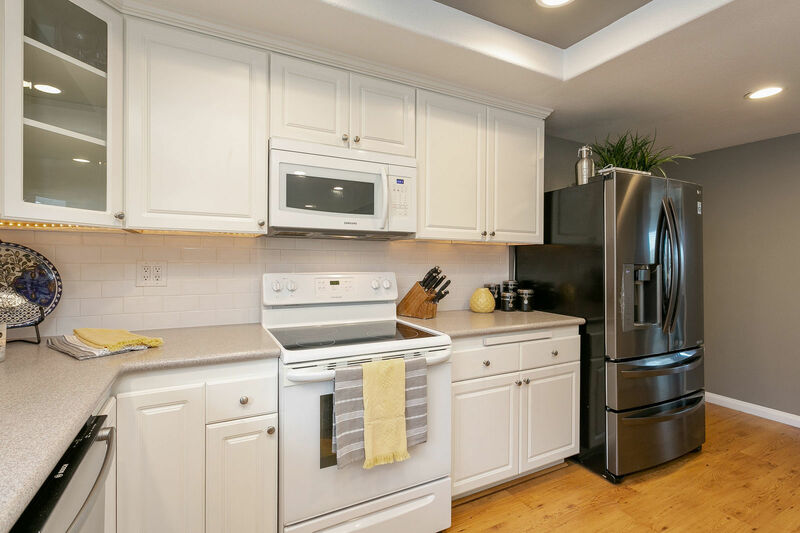 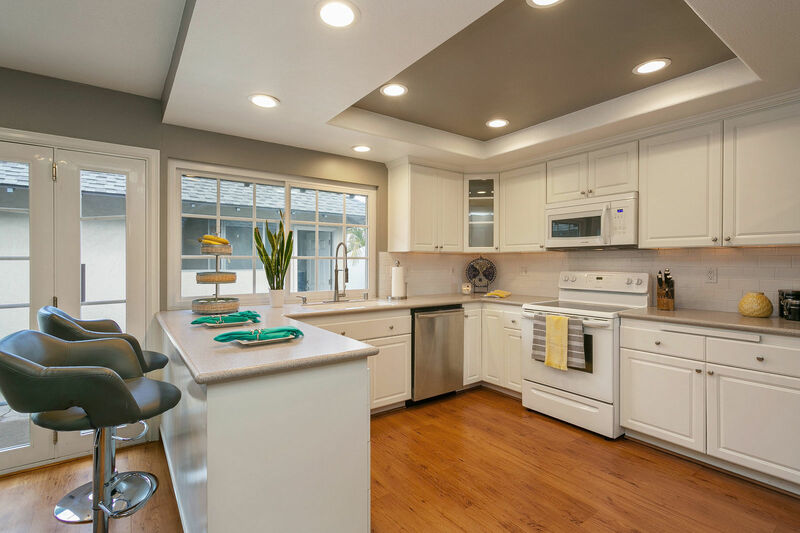 Large upgraded, eat-in, white cabinet kitchen with newer, modern countertops and spacious family room with double French doors lead you in to the charming courtyard. 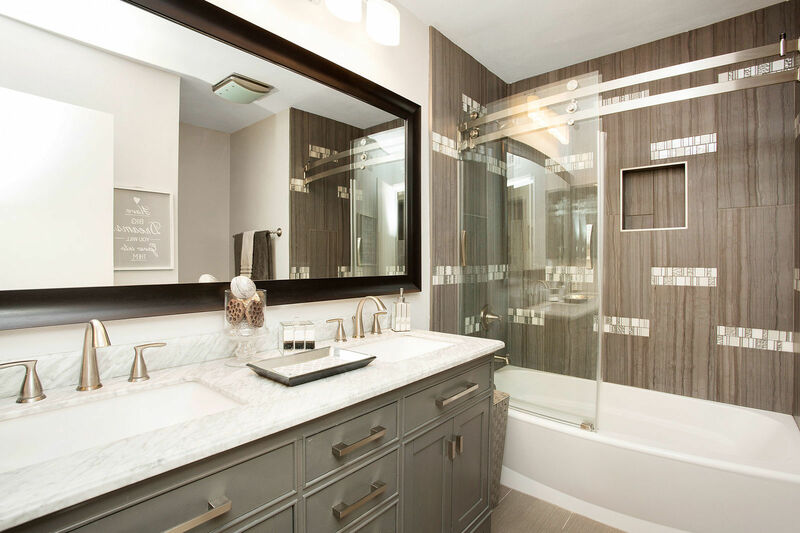 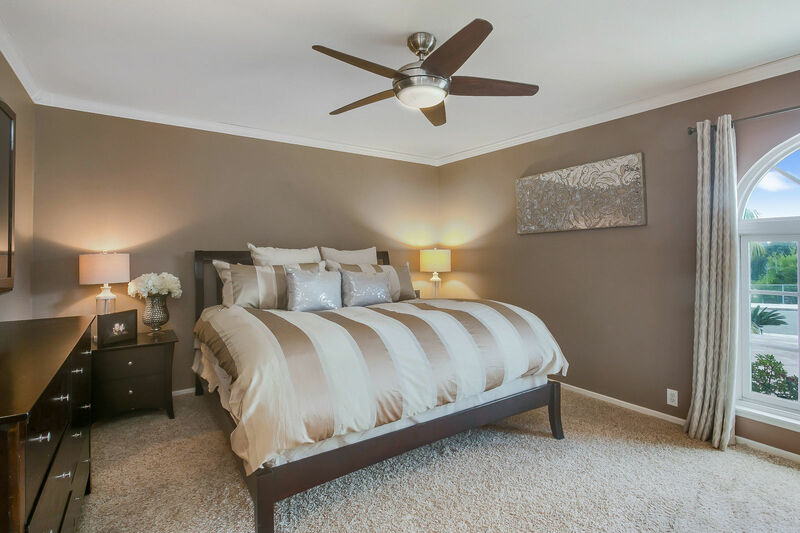 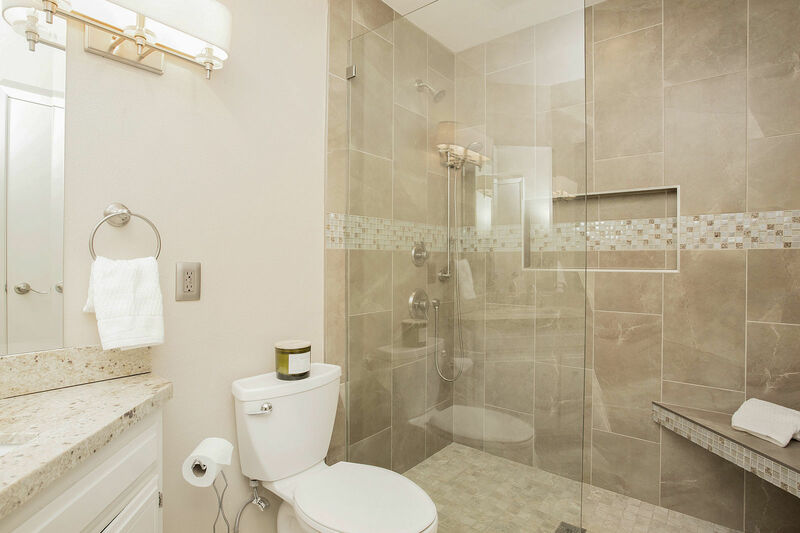 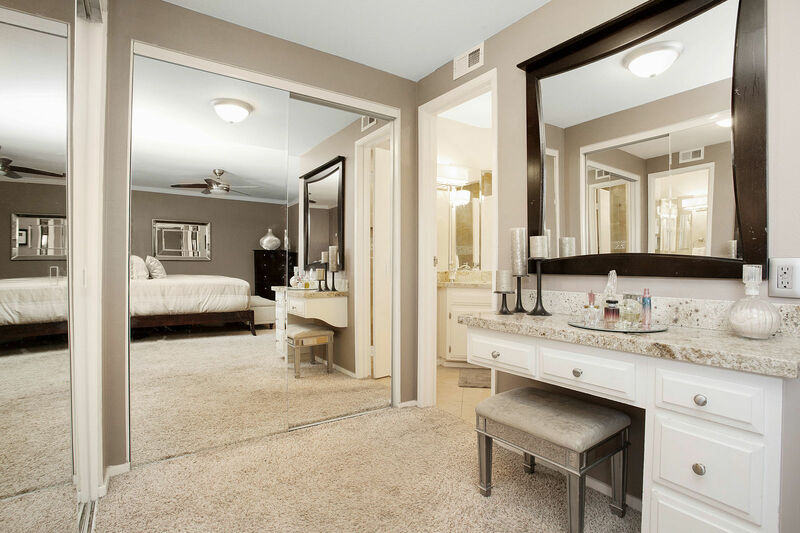 Large, private master suite boasts a separate vanity and dressing area with mirrored-door closets and en-suite with highly upgraded walk-in shower with custom glass doors. 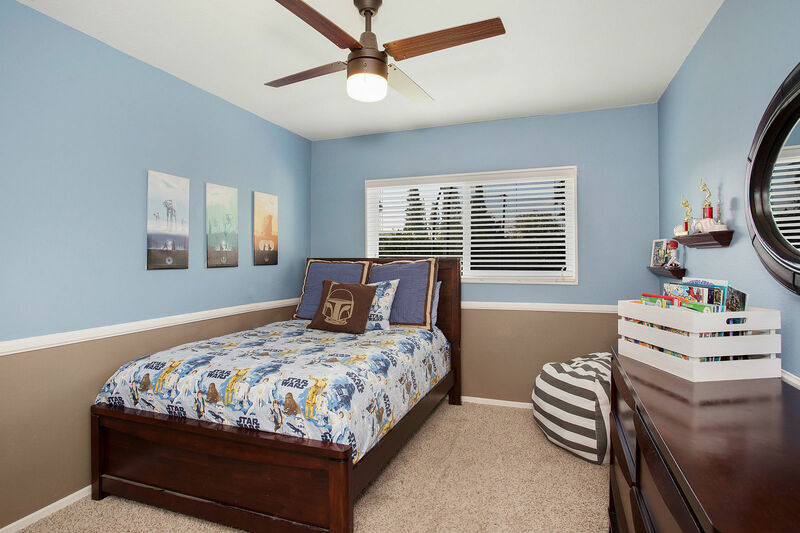 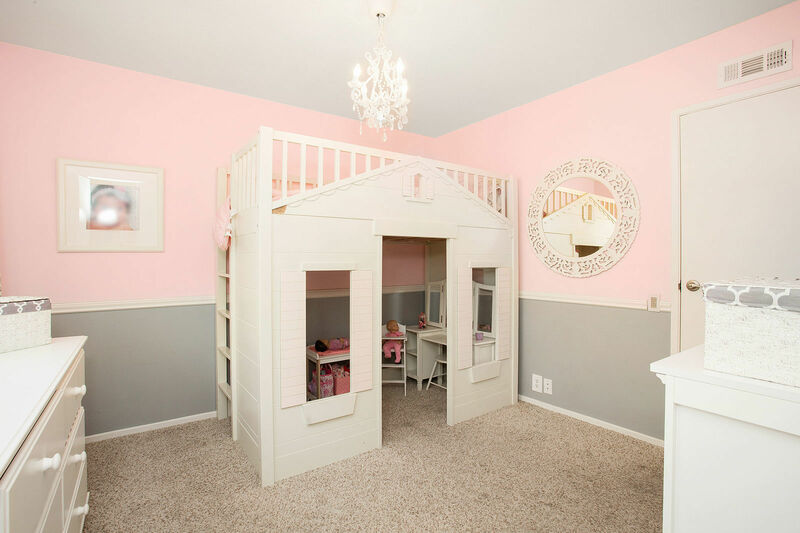 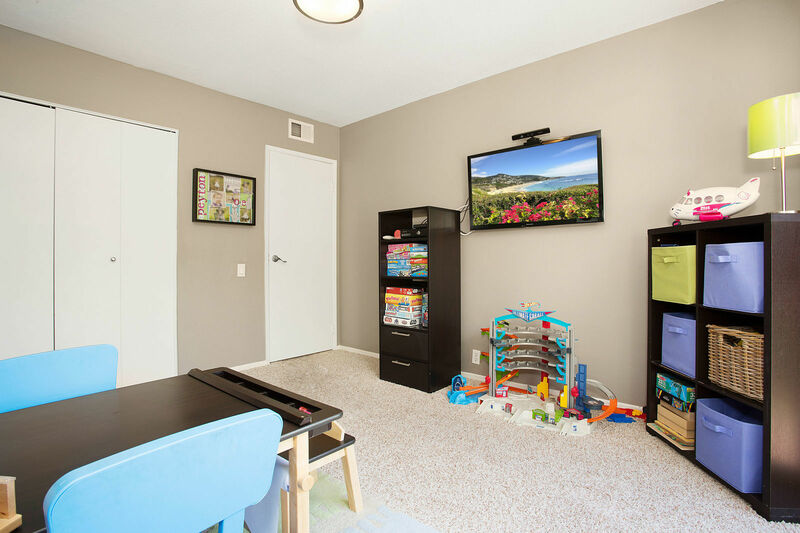 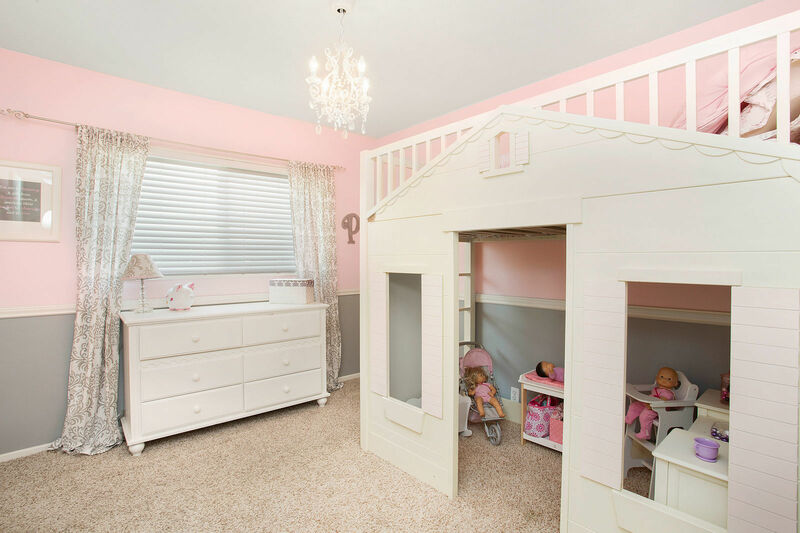 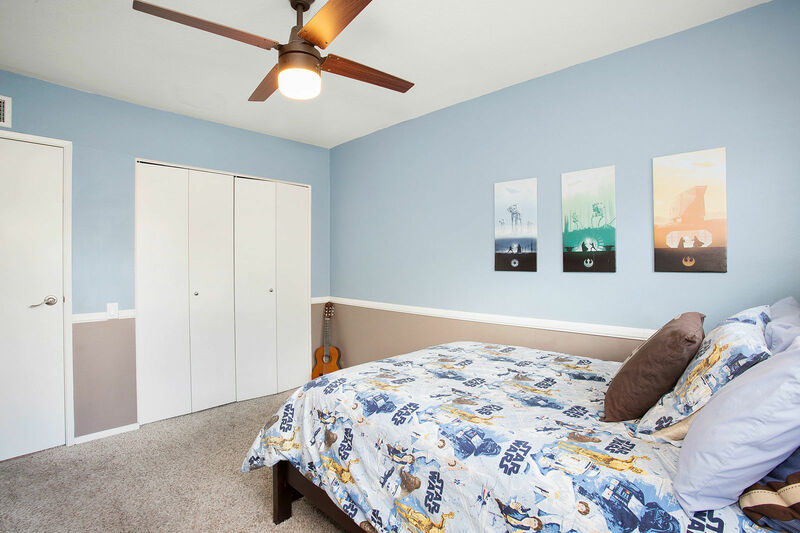 Enjoy three additional, bright and inviting bedrooms with views of the large backyard and direct access to it, perfect for a play or crafts room. 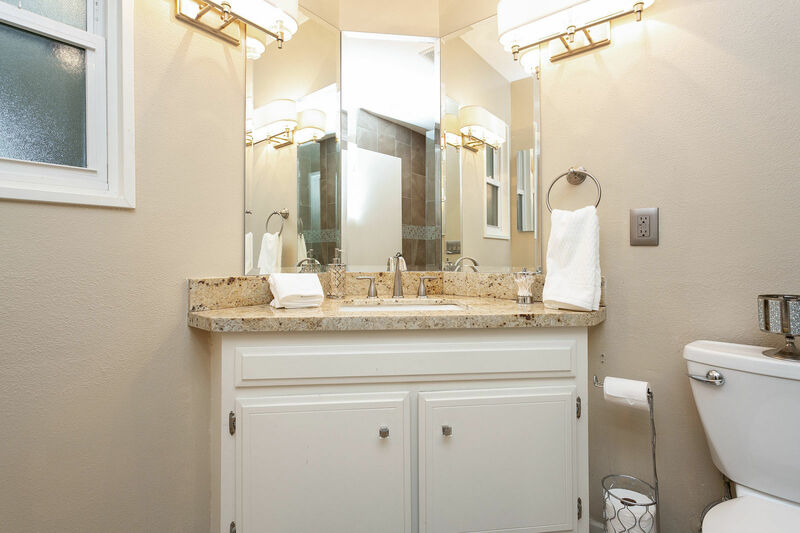 Down the hallway find plenty of storage space in linen closets and newly remodeled bathroom with new cabinetry, marble countertops, double sinks and custom tub with curved glass for added space. 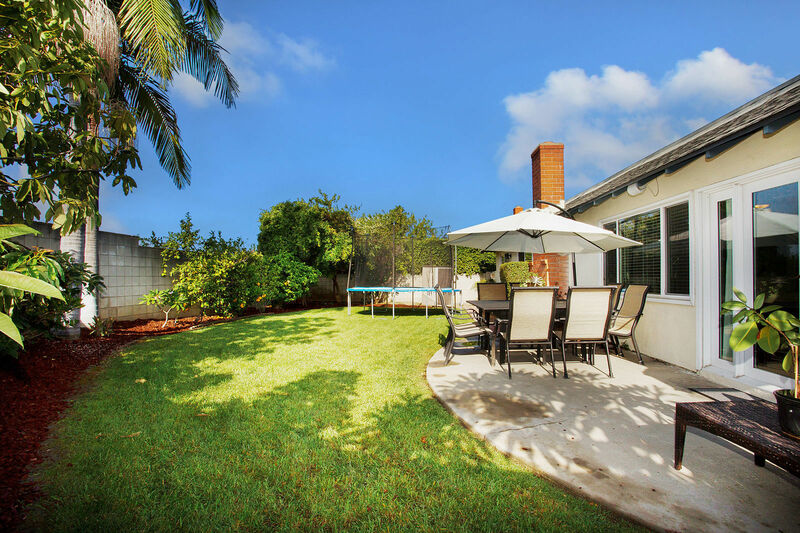 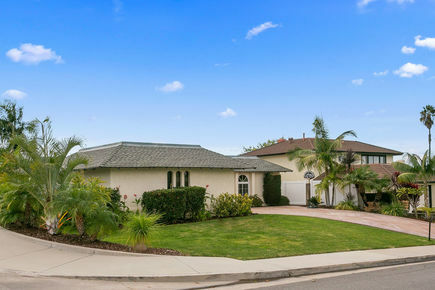 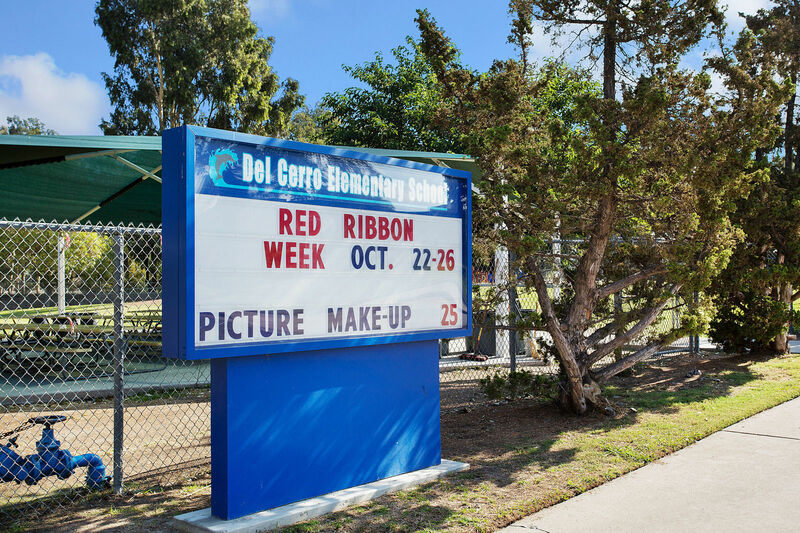 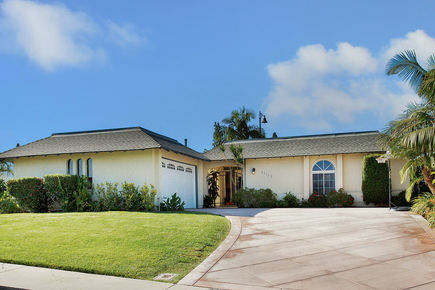 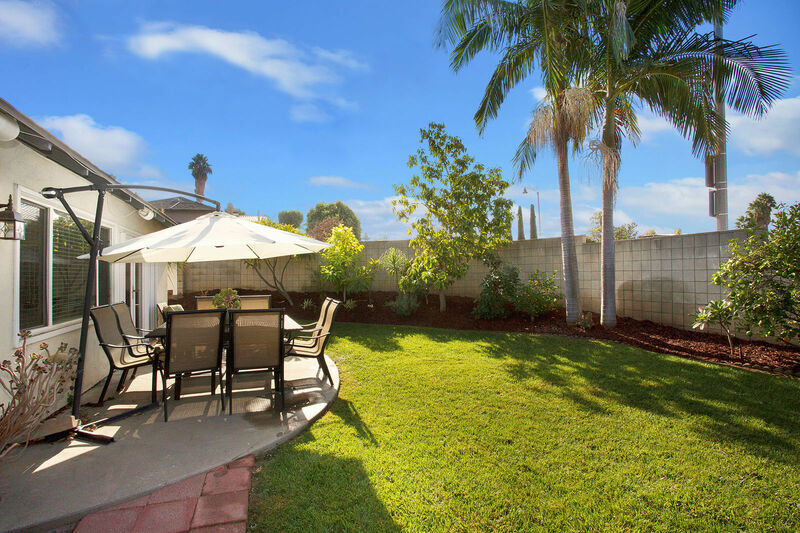 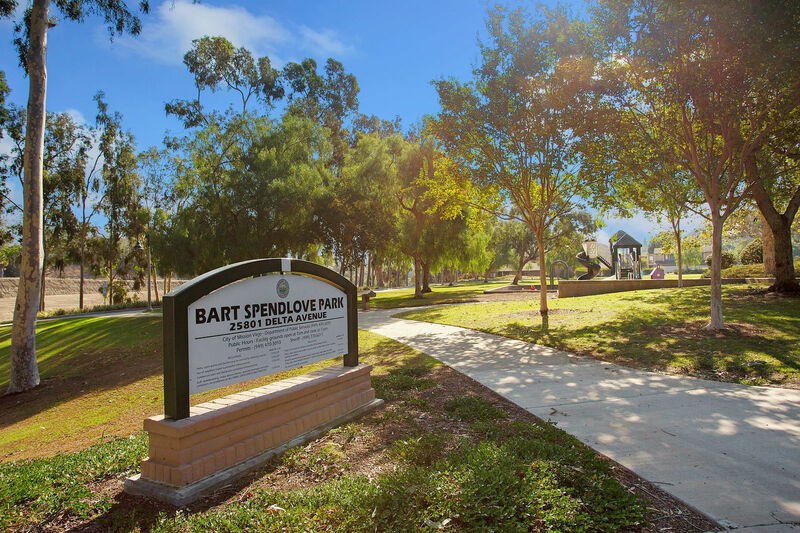 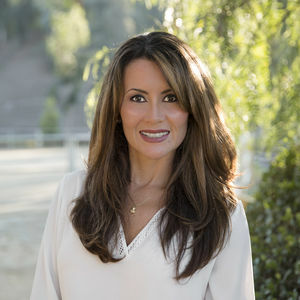 Perfectly located on cul-de-sac with easy access to freeways, shopping, award winning schools, hiking trails and parks. 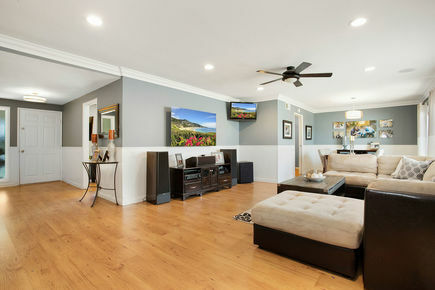 No HOA, no Mello Roos.